It’s a sporting battle with a difference. On one side, 20,000 football fans, with a maths geek up front. On the other, officialdom, strong in defence. The tussle at its heart? 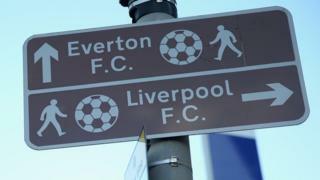 Whether the football on British road signs should be an accurate depiction of the real thing. Currently, the image on the sign is made entirely of hexagons but a ball like that would be geometrically impossible to make. Instead, a real football has a mixture of hexagons and pentagons – and maths crusader Matt Parker has started a petition to get that changed. However, despite 20,000 people signing up to support him, the government has given them the red card. The pattern of white and dark hexagons is stipulated in UK law as the image for a football ground. But in a YouTube campaign video, Mr Parker explains why that wouldn’t work, even if the hexagons were somewhat distorted. It’s “a bit of a national embarrassment”, he says, because of Britain’s long tradition in sport and its “very proud” tradition in mathematics and science. The mathematician said: “We really should fix this. “If we do get it fixed, that’s just going to bring geometry into the public mind. The football ground sign is one of several brown tourist signs aimed to help drivers find attractions and facilities, such as zoos, museums and hotels. Mr Parker argues all the signs except the football one look realistic. The Department for Transport says the purpose of traffic signs is to get drivers to take in information quickly and the symbols are merely a “general representation” of the activity. This particular football ground symbol was first used in 1994 so drivers have become “accustomed” to it, the spokesman said. He added if the signs were corrected, it would only be visible close up and not from the distance at which drivers will see the sign. Responding to the government’s comments, Mr Parker told the BBC he felt like the DfT had not read the petition properly. He added he had specifically asked not to change current signs but to set a precedent for the new signs. “I’m not sure what the DfT thinks a football looks like but they say both: the change would be too small to be noticed and that the correct geometry would be so distracting to drivers it would increase the risk of accidents. Art director Will Howe says the signs are “still recognisable and functional in their current state”. But, he adds it was a “clear oversight” in the beginning to construct it without the iconic black pentagon detail. And graphic designer Chris Watterston said a symbol should always be as realistic as possible. “It still needs to be simple enough for the human brain to process the symbol in as minimal time as possible [because] not doing so would almost certainly cause confusion and frustration. Mr Parker says the next step is to get 100,000 signatures so the government will have to debate the issue in parliament.